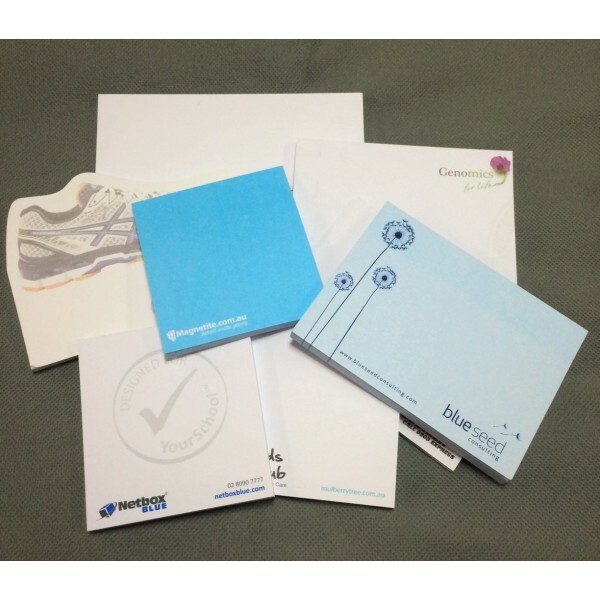 Buy promotional sticky notes measuring 50 mm x 75 mm. 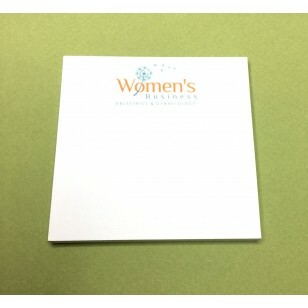 These white sticky note pads are an amazingly versatile promotional item. 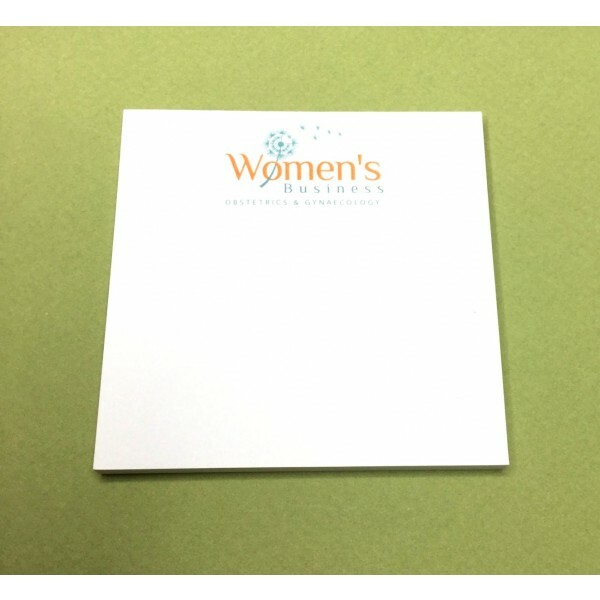 The beauty of the white sticky notes is that they can be easily affixed, removed, and reapplied to most surface areas-this includes freezer bags, aluminum foil, and plastic wrap. Because let's face it, power cooking is messy and you don't want to waste time taping those needed instructions when your hands are dripping with food. The price includes the cost of the one-colour print image or wording, but does not include GST. Printing is done in Australia and product(s) can only be delivered to customers within Australia. The imprinting goes onto each page within the item.